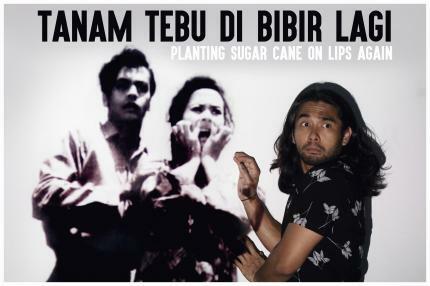 The Malay proverb which transliterates to ‘plant sugar cane on lips’, is predicated on the notion of failure. One can not actively plant flora at the edge of one's mouth. This does not mean that one should not attempt what appears to be a daunting, and almost impossible task. The proverb which actually means ‘to coax by saying sweet nothings’, will inspire the format of this performance-lecture in hopes of artistic redemption. Join Irfan Kasban as he shares his perspective on the history of Malay Cinema, again, laced with a meta commentary of his role as an artist in the event of failure. Visit https://stateofmotion.sg/ for a full list of programmes happening till 11 February 2018 at the National Library Plaza and Malay Heritage Centre.